Weston A. Price praised it to the skies, even though he didn’t know its name. “Activator X,” as he called it, was the difference between the straight teeth and well-proportioned faces of people in traditional societies and the endless series of dental and bone problems he saw in his Western patients. He discovered it in the most treasured, sacred foods of these traditional cultures – foods like liver and roe, which people would go out of their way to get. It took us a while to put a name on this mysterious “activator,” but it’s finally been identified as Vitamin K2, a fat-soluble vitamin that does a whole lot more than just make your pearly whites pearlier. Vitamin K2 is important for bone health, heart health, and fetal development – and it’s all but vanished from the modern diet. Just like we have a lot of B vitamins instead of just one “Vitamin B,” we also have a whole family of K vitamins. Vitamin K1 is found only in plants. When you see vegetables high in “Vitamin K,” this is the form they have. Anything dark green and leafy is a good bet for Vitamin K1. There are several different types of Vitamin K2, and each type gets its own number. Scientists have identified MK-4 through MK-13, but the most important two are MK-4 and MK-7. MK-4: found in poultry and eggs. MK-7: hard to find outside of natto (fermented soybeans) and certain types of cheese. In the past, K1 and all the different types of K2 were all lumped together as “Vitamin K” because scientists thought it didn’t matter which one you ate; your body would convert one form to another as needed. But in fact, this is not accurate. It’s true that your gut flora can convert K1 to the various forms of K2, but it’s not terribly efficient – even your gut flora can’t do everything! A precise conversion rate is hard to pin down, since it varies from species to species and even between individuals. But at any rate it’s pretty clear from the research (more on this below) that we just can’t get all the K2 we need by converting K1. We’ve got to get at least some of our K2 directly. 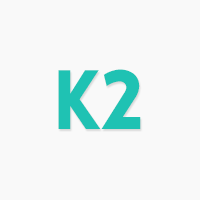 What Does Vitamin K2 Do for You? Vitamin K2 is a great enabler. Specifically, it’s an enabler for Vitamins A and D. Think of it like a “partner vitamin” for A and D: without K2 along for the ride, you wouldn’t get all the benefits of the other two vitamins. It’s also an enabler for calcium: it keeps the calcium you eat in your bones (where you want it) and not in your arteries (where you don’t). That makes Vitamin K2 crucial for bone health: several studies have demonstrated its role in treating osteoporosis and arthritis. For example, here’s a study describing the effect of Vitamin K2 (but not Vitamin K1) in improving bone strength, and here’s a randomized intervention study showing that supplemental MK-4 helped maintain bone strength in postmenopausal women. You might remember from the article on healthy bones and joints that bone mineral density isn’t everything, and that was borne out in these studies as well: the K2 didn’t increase bone mineral density, but it did help improve bone geometry and other measures of strength. It’s not only good at keeping calcium in your bones, though; Vitamin K2 is also important for keeping calcium out of your arteries. And that makes it excellent for heart health, even though it’s found in all those cholesterol-rich foods we’re warned against eating if we want to live past 45. Ironically enough, in the quest to avoid cholesterol (which isn’t even dangerous! ), we may have been doing serious harm to our hearts. The most famous evidence for this is this study, which found a shockingly strong association between Vitamin K2 intake and reduced risk for heart disease (notably, with no connection visible for Vitamin K1). This meta-analysis confirmed the results. But eagle-eyed readers will quickly spot the problem here: this is an association and does not imply causation. We all love to pick on this with studies of saturated fat, but it’s just as important to be critical about studies that we like. In this case, we don’t have a human intervention study (where researchers would give one group a K2 supplement and the other group nothing, and then compare them) to back up the association. But we do have some plausible mechanisms – this paper, for example, explains how K2, and specifically MK-4, might improve calcification. We also have intervention studies on rodent models. For example, in this study, rats were given Warfarin (which blocks the action of Vitamin K2), and developed calcium deposits in their arteries. Vitamin K2 (specifically the MK-4 form) prevented this, while Vitamin K1 did not. Even though we don’t have any randomized clinical trials in humans, piecing together the epidemiological research and the rodent studies gives us a fairly strong case for Vitamin K2 as cardioprotective. Want to know more? Here’s an enormous article from Chris Masterjohn at the Weston A. Price Foundation going into all the detail you could ever want on what Vitamin K2 is, how it works, and why you need it. A vitamin that helps prevent two crippling chronic diseases at one blow is a vitamin we all want to get plenty of! But unfortunately, modern diets are typically very deficient in Vitamin K2, for several reasons. We eat factory-farmed meat. The amount of Vitamin K2 in factory-farmed meat is much lower than the amount in grass-fed meat. Weston A. Price famously noticed that the greatest quantities of Activator X were found in the butter, milk, and meat of cows that grazed on lush green pastures in the spring. That’s because the cows were converting the K1 in the grass to K2 in the cow. Rather obviously, if the cows have no grass to eat, this cannot happen. We take too many antibiotics. This study found that antibiotics (which deliver a serious one-two punch to the gut flora) impair the body’s ability to convert Vitamin K1 to Vitamin K2. Don’t be afraid of fat. 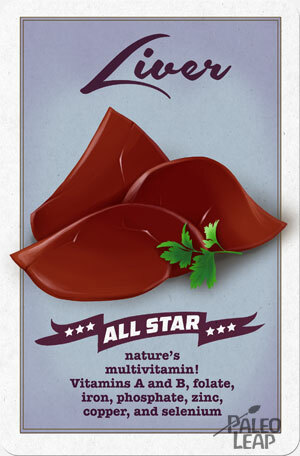 The best sources of K2 are organ meats like liver, especially from poultry (ducks, geese, chickens, and turkeys). Fish eggs are also a rich source. Eat grass-fed meat. As if you needed another reason! Grass-fed dairy is also good, if you tolerate it well (not everyone does). Keep your gut flora happy. Avoid broad-spectrum antibiotics if you can. And just to balance out all the good news, one warning: Warfarin works by inhibiting Vitamin K, so if you take Warfarin, large amounts of either K1 or K2 can actually make the drug ineffective. This shows how powerful these nutrients are: if that’s a concern for you, definitely talk to your doctor first! As for supplements: this is really a call that everyone has to make individually. We don’t have a clear number for the optimal daily intake of Vitamin K2, so it’s not easy to tell whether or not you can hit the target from foods alone. The optimal intake is probably more than most people get, but nobody’s really sure exactly how much is too much. But if you’re eating plenty of animal products from animals that lived on pasture, and your gut flora are reasonably happy, you’ll probably be getting enough K2 without a separate supplement to worry about. Is Vitamin K2 the “missing piece” that could solve all our modern health problems? Not even close. There is no miracle nutrient that will do that! But it is a pretty big gap in the typical American diet, and a potentially significant one – well worth your time and effort to fill.